This Mithai is a perfect treat for chocolate lovers. 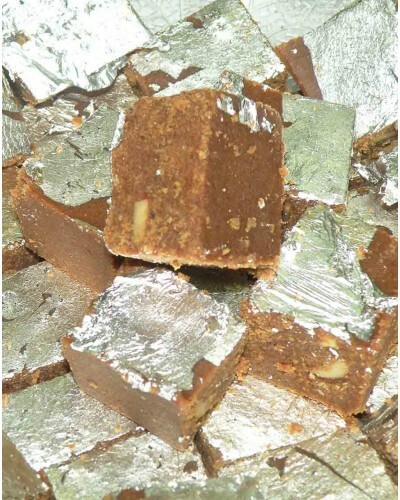 It is made using chocolate in mawa which in turn gives it the creamy and milky texture. It also contains sugar and cardamom that leaves a scrumptious aftertaste in your mouth.